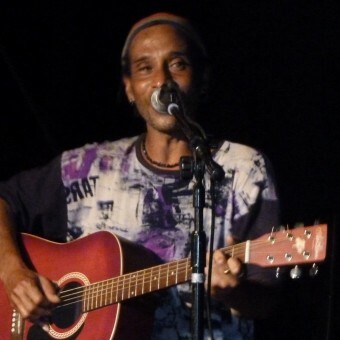 Rush Music » Terry Clarke’s Album gets 5 star Review! 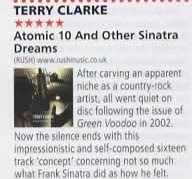 ‘Atomic 10 and Other Sinatra Dreams’ has been reviewed in the March/April edition of Rock ‘N Reel Magazine and given 5 Stars! Now the silence ends with this impressionistic and self-composed sixteen track ‘concept’ concerning not so much what Frank Sinatra did as how he felt. Yet, while Clarke shares the same baritone range, there’s no explicit emulation of his subject’s emotive texture beyond an element of vocal daredevilry in a supple and forthrightly English – accented delivery darker in timbre than of yore. Moreover, as expected from a child of rock’n’roll rather than the swing era. Terry’s approach isn’t as tangible to mainstream pop as Sinatra, Vikki Carr, Tony Bennett, Eydie Gorme, Jack Jones and the rest of that Las Vegas shower.